(CNS): Al Suckoo’s surprise last minute support, as well as backing from Anthony Eden and two opposition members and the absence of four Cabinet ministers, almost saw Arden McLean and Ezzard Miller win the day on the East End member’s private motion on 'one man, one vote' (OMOV) in single member constituencies (SMCs). 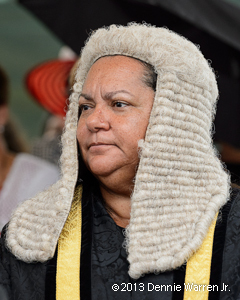 With 6 ‘no’ votes from the government benches, 6 yes votes from both sides, the five absentees forced the speaker to use her casting vote in accordance with standing orders and the constitution. A long opponent of SMCs, however, it was no surprise that Juliana O’Connor-Connolly defeated the motion witha 'no' vote but the debate stirred up passions and revelations as well as some uncomfortable moments for the premier long before it came down to the wire. During his closing remarks on what had been a long debate, in which some members of government had clearly been troubled over the motion, Arden McLean took aim at his former party colleague, Premier Alden McLaughlin, and said he had never supported single member constituencies and never would. He said he had remained silent for too long but then pointed the finger at the PPM leader as the stumbling block to the more equitable voting system. 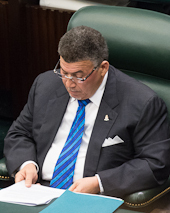 In an impassioned response to the two-day debate on his motion, the member for East End said that the premier, when he was leader of the opposition, had tried to cut a deal with him over the plan for a referendum on the issue of 'one man, one vote' and single member constituencies. He revealed that McLaughlin had offered to support the referendum plans only if McLean in turn supported the three additional members. McLean said the disagreement over SMCs was the straw which broke the camel’s back form him in terms of his eventual departure from the Progressives. He warned the new members on the government benches that their leader was never going to put SMCs in place and this was their chance to see it happen, and if they did not take the chance, the people would remember. Al Suckoo, who had been a staunch advocate and a key player in the 2012 OMOV campaign, was in the end the only member who took heed. His own contribution to the debate on Thursday had seen him commit to SMCs and although he had noted that there may be some questions still to be asked about the future voting system, the young Bodden Town representative had not stated in the debate whether he would or would not be backing the motion. In the end, Suckoo rose above party politics and voted with his conscience rather than the party line, a brave move for the novice backbencher but one likely to pay off in the future. His senior Bodden Town parliamentary colleague, Anthony Eden, also stuck to his guns and, as promised, voted in favour of the motion. However, it was the mysterious absence of four Cabinet members – Tara Rivers,Wayne Panton, Marco Archer and Osbourne Bodden – which was even more significant. It was clear during the debate yesterday that Archer and Panton were finding the situation uncomfortable. However, Archer later told CNS that he was attending a reporting session at his daughter's primary school, which was why he missed the vote. Rivers made just a short contribution and Bodden made sure he wasn’t involved in the debate at all, as it is understood he went on personal leave. Given that critical front bench absence, the support from both Bernie Bush and Captain Eugene Ebanks on the opposition benches, as well McLean and the seconder of the motion, Ezzard Miller, very nearly carried the day. Having cleared his team to vote their conscience, Opposition Leader McKeeva Bush was also absent from the chamber at the time of the vote. Bush has always opposed to SMCs but it was clear he saw the political capital in not adding to the 'no' votes. During his closing remarks McLean reached fever pitch in his condemnation of the premier, not least in reference to the premier’s comments about demographics. 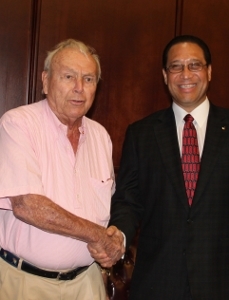 Urging everyone to stop the racial divisions among Caymanians, he pointed out that the only people who can vote are Caymanian. He said it did not matter if they were white, green yellow or black, it was Caymanians in total that politicians had to worry about, not any demographics, as he turned to the speakerand asked her to put his motion to the vote. Were the PPM wrong to u-turn on 'one man, one vote' in single member constituencies? CNS): A 41-year-old man and a 27-year-old woman have been arrested for burglary after a foiled attempt to steal an entire automated bank teller machine. 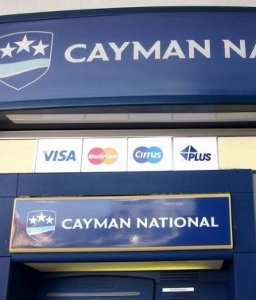 Police said Friday that at 4:46 this morning, 28 February, they were called to a report of an incident at the Cayman National Bank ATM located in Marquee Plaza, Laurence Boulevard, George Town. When police officers arrived they found a group of people who were attempting to steal the cash machine. An RCIPS spokesperson said that when the police arrived the people all fled. The police gave chase and managed to apprehend and arrest the 41-year-old man for burglary. The spokesperson explained that the 27-year-old woman was subsequently arrested for burglary this morning and both now remain in police custody. No money was stolen from the ATM. Enquiries are ongoing and anyone who may have information in relation to the incident should call the CID on 949-4222, or the RCIPS tip-line 949-7777 or Crime Stoppers on 800-8477(TIPS). (CNS): The Water Authority has said there is a broken water main on Bodden Town Road near Gun Square. Customers located on Bodden Town Rd, from the junction of Gun Square to the Bodden Town Police Station, will experience an interruption in service while repairs are carried out, a release from the WA stated, estimating that repairs will take about four hours. Traffic has been reduced to one lane, so drivers are asked to drive with caution and obey all traffic signs. The Water Authority said it appreciates the patience and understanding of the motoring public as they continue to provide services to all of their customers and apologizes for any inconvenience. (CNS): A press briefing called by the developers of the proposed Ironwood development and golf course to announce a deal with government over the project and the construction of the East-West arterial was cancelled at the last minute Thursday. A number of questions remain about the proposed $360 million development, which is supposedly breaking ground this week. Although politicians shook hands with golf legend Arnold Palmer, who is backing the golf course, there have been no details released about the deal the minister for planning, Kurt Tibbetts, reportedly signed at the Westin yesterday, which could signal the destruction of the Mastic Reserve and trail. 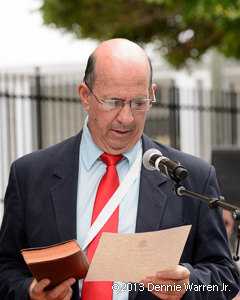 Environment Minister Wayne Panton recently said that the road, which is currently destined to slice through the Mastic Reserve and the Salina Reserve, could be re-directed from the current gazette, which has not yet been formalized. He also said that the National Conservation Law would require government to follow the advice of the National Environment Council before allowing the development of a new road. But more than two months after its historic passage the law has still not been implemented, which means a developer in partnership with the National Roads Authority could press ahead with yet another project threatening the environment, this time on National Trust land, without seeking the advice of is environment agency or the support of the people. With the press briefing cancelled and no confirmation on when the ground breaking is taking place, the two MLAs from East End and North Side, whose constituencies this project straddles, have also raised their concerns. They said they have been given no details again about yet another potentially massive construction project, which would seriously change their districts for ever. A sign at the site also indicated that some of the land in the area is for sale, and with the exception of some clearance of an access road, there is no activity taking place at the site where the golf course and resort, and mixed used community will be going. The developers have said the proposed golf course will use the tyres from the dump, and while government has again failed to attract a buyer in its latest RFP, there has been no commitment yet from the minister for the Department of Environmental Health, Osbourne Bodden, that it will be giving the tyres to the developers. (CNS): The opposition leader said that in more than 20 years in politics he had never seen such a turnaround as he saw on Thursday when the premier stood up and said what he did. McKeeva Bush said he was “shocked” when he heard the premier talk about 'at large' candidates and changing the number of constituencies. Bush went on the attack, saying that government was full of excusesand speaking about loyalty and a man’s word, implying the government had neither, as he described a man who can’t keep his word as a ‘pheeyong–pheeyong’ person. Bush warned the government that it would be held accountable for “this broken promise”. Taking part in the debate on the private member's OMOV motion brought by the member for East End, Arden McLean, Thursday, which has dominated the LA proceedings this week, Bush said everyone knew where he stood on this. However, the opposition and now CDP (formerly UDP) leader told his colleagues to vote their conscience, as he challenged the premier to do the same with his members, many of whom are understood to be toeing the party line on this issue very reluctantly. Describing government as "iffing and butting" over the backbone of the country’s democracy, Bush took aim at the premier as the cause of the turnaround. “What a difference a day, what a difference power and position makes,” he said. “The premier is weak, weak, weak,” Bush exclaimed, saying that he could not get elected on his own and he had run on the coattails of the first elected member for George Town, Kurt Tibbetts. He said that Alden McLaughlin had travelled far on the issue when he made his announcement Wednesday, as Bush took full advantage of the government’s change of heart less than a year after it was elected. Criticising the 'at large' idea, he said that it was adopted by BVI because they had no choice and at the behest of the UK, who, he said would do anything to confuse things, and as a way to add the members they needed. He accused the government members of campaigning on the OMOV and SMCs to “break Fortress McKeeva”, and berated them for the distraction the referendum campaign had caused him when he was premier. “It’s not the system of voting that’s keeping people unemployed or making the dump worse or why people are losing their homes,” he said, claiming that government was hypocritical as he questioned where all the work was that had previously justified the referendum. Revisiting the issue of former governor Duncan Taylor and Bush’s own ongoing legal challenges, he said that what it took to break 'Fortress McKeeva' was not a change in the voting system but one governor to paint him black, as he laughed even harder. “I never heard more about how we need it but we don’t need it, you want it but you don’t want it,” Bush said, taking the government benches to task as each member had backtracked on their original position. However, he pointed to the premier as the main cause of the turnaround, saying it was him who was not willing to support any system where Tibbetts would not carry him because he could not win on his own in his district. Describing government’s position as 180 degree turn, he said that, given the back and forth, they may still do a 360 degree turn back to the start as they had not offered any solution yet. (CNS): For the second time since the PPM government was elected to office, their veteran back-bencher, Anthony Eden, has rebelled against the party line. During the debate on a private member's motion brought by Arden McLean asking government to make the necessary amendments to the election law to introduce 'one man, one vote' in single member constituencies, in opposition to his colleagues, the Bodden Town MLA said he could not "get his head around" what "formula" government might adopt but he had campaigned for SMCs and would support the motion. In October, Eden opted not to toe the party line when the government passed the law to allow the 1,400 people on Term Limit Exemption Permits to stay until year nine and apply for residency. Eden made a short and to the point contribution, pointing out he would always vote his own conscience and had given this issue considerable thought. Addressing the talk of garrisons, demographics and the so-called problems with smaller constituencies, Eden pointed out that there had never been any issues with democracy in East End and North Side. Referencing George Orwell’s Animal Farm, he said he was reminded that we are “all created equal but some are more equal than others”. Pointing to the 65% 'yes' vote in the referendum in 2012 during what he described as a “roller coaster debate”, Eden said he had campaigned for SMCs and OMOV and he would support the motion. However, others on the government front and back benches who had also campaigned on the issue, including those at the forefront of the OMOV referendum campaign, such as Marco Archer, Al Suckoo and Wayne Panton, all backtracked from their original positions on the issue. Archer said that maybe he had been wrong about the accountability of multi-member constituencies; Suckoo had decided that perhaps there would be problems with smaller constituencies; and Panton said there was more than one route to equality of voting, as he emphasised his concern that there were many other issues which were more pressing than OMOV on government’s legislative agenda. Moses Kirkconnell also noted that since being elected, not a single person had raised the issue of voting because it was jobs and the economy dominating the current environment, as he and his colleagues justified the PPM u-turn. The Legislative Assembly adjourned around 5:30pm Thursday and is expected to resume this morning Friday at 10:30am to continue the debate. (CNS): The Department of Environment has urged to Cabinet not to approve a coastal works application to cut a channel into Saltwater Pond on Cayman Brac as part of a plan to build a marina at the location, finding that the proposal was “so demonstrably damaging to the environment and fundamentally flawed” that it was not even worth the cost of doing an environmental impact assessment. As well as serious concerns regarding the proposal’s impact on the marine and bird life, the DoE Technical Review Committee found that breaching the protective storm ridge in front of the pond with a 100-foot wide channel would expose both coastal and inland properties, potentially as far as the airport, to increased flood risk and storm damage from the sea. The increased risk of storm damage to surrounding properties, including the Alexander Hotel, which is owned by the coastal works applicant, Cleveland Dilbert, was among a list of issues that the review found had not been addressed in the application. There was no supporting technical report to determine the feasibility of excavating the channel with a mechanical excavator, which was the stated intention in the application, nor was there any technical information to support the safe operation of the channel design, orientation and placement, and there was no evidence of any engineering study regarding the structure of the breakwater, or groyne, which Dilbert intends to build by placing large boulders onto the seabed. The committee pointed out that this structure would need to be properly engineered to withstand high energy wave activity without damage to the structure or neighbouring coastline properties. “The department would have expected to see documentation of the engineering considerations utilized in the design of the rock groyne breakwater, including a cross section profile drawing depicting height and slopes employed, size of rocks etc,” the review noted. The DoE found significant issues with the proposed method for excavation of the channel. While the application stated that silt screens would be used to control sedimentation in order to protect the reef, the scientists conducting the review said the use of silt screens in the rough offshore conditions in this area was “simply not feasible”. Responding to concerns raised by the National Trust, which are supported by the findings of the DoE technical committee, Dilbert said in a release Thursday that the Trust had been “grossly misinformed”. While the DoE, which has made extensive and long term scientific studies of the reefs, found that opening the channel would have a severe detrimental impact on what they have found is the healthiest coral reef on the Brac, Dilbert said he had received a “number of phone calls from divers” discrediting National Trust’s concerns regarding the damage to dive sites in the area from the development of his marina. The DoE scientists not only found that the initial dredging plans would damage the reef from the resulting sedimentation but that frequent maintenance dredging to keep the channel clear would present an ongoing issue. However, Dilbert, without any apparent scientific evidence, dismissed any risk of sedimentation. Their plans, he said, were to first excavate the basin (within the pond), “then start the channel afterwards, connecting the two at the very last stage, after the basin has had a chance to settle”. Dilbert wrote in his release, “It is certainly no secret to people familiar with turtle nesting habitats in Cayman Brac that this area of the coastline is certainly not a popular area for nesting turtles.” However, the DoE, which actually leads the study of nesting turtles in the Cayman Islands, stated clearly that the works would, in fact, “require the removal of active turtle nesting beach”. In lieu of any actual business case, Dilbert found proof of the economic viability of his marina in the fact that someone else had also made an application to build one. Dilbert noted that both CNS and the National Trust had erroneously stated that the area to be dredged was 19.25 acres of sea bottom, which was the figure he had mistakenly used on his application that both the Trust and CNS had seen in the planning department. The actual areas affected would be 0.12 acres of seagrass and 1.73 acres of seabed, with the removal of 17,000 cubic yards from the seabed. However, DoE Director Gina Ebanks-Petrie told CNS that this error did not affect the findings of their review of the proposal. See DoE Technical Review Committee report and Cleveland Dilbert's release below. (CNS): A local attorney who has been battling drug chargesfor eight years that relate to small traces of cocaine and methamphetamine found in his carryon bag at the airport will face trial once again in June. Caymanian lawyer Patrick Gregory Schmid, who left Cayman in 2011 while on bail awaiting a retrial voluntarily returned to Cayman earlier this month and appeared in Grand Court Thursday when he entered not guilty pleas to allegations of importation of the drugs. A new trial date has been set for 2 June this year and despite having previously absconded Schmid was bailed until trial on strict conditions. The judge refused to vary those conditions, which his attorney said amounted to house arrest. Justice Malcolm Swift told Schmid’s attorney that he would need to make an application before Justice Charles Quin for any change in the conditions as it was that judge who had set the terms. Schmid remains on a 7pm to 6am curfew and has surrendered his travel documents. He is ordered to appear at the police station three times per week and has also given financial assurities. Schmid is charged with importing and possessing 0.0085 of a gram of cocaine and 0.134 of a gram of methamphetamine when he arrived at Owen Roberts International Airport in July 2006 on a flight from Miami. He was convicted in 2007 in Summary court but the conviction was overturned on appeal and a retrial was ordered. Facing a second trial for the offence Schmid chose to have the case heard in the Grand Court. Trial was set for November 2011 but before the case was heard Schmid jumped bail and left the island. He also faces summary offences of insulting the modesty of a woman, driving under the influence of alcohol and failing to surrender to custody.